Sprint branded Motorola Xoom tablet leaked photos | Android Blast! 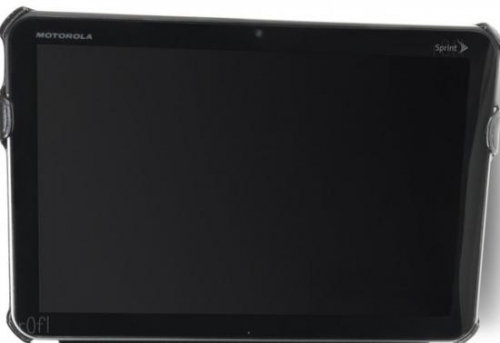 A leaked photo of a Sprint-branded Motorola Xoom has been making its way around the Internet. Sprint Users forums member rofl has given the world this photo of the Xoom with Sprint branding. Apparently, rolf is a reliable source who has leaked other pics before. No release date or other information is known at this time, but it sure looks like Sprint will be offering another Android tablet sometime soon. If they can keep the price down, they could sell a lot of these tablets. If they stick with the iPad pricing I have a feeling most people will choose the iPad.